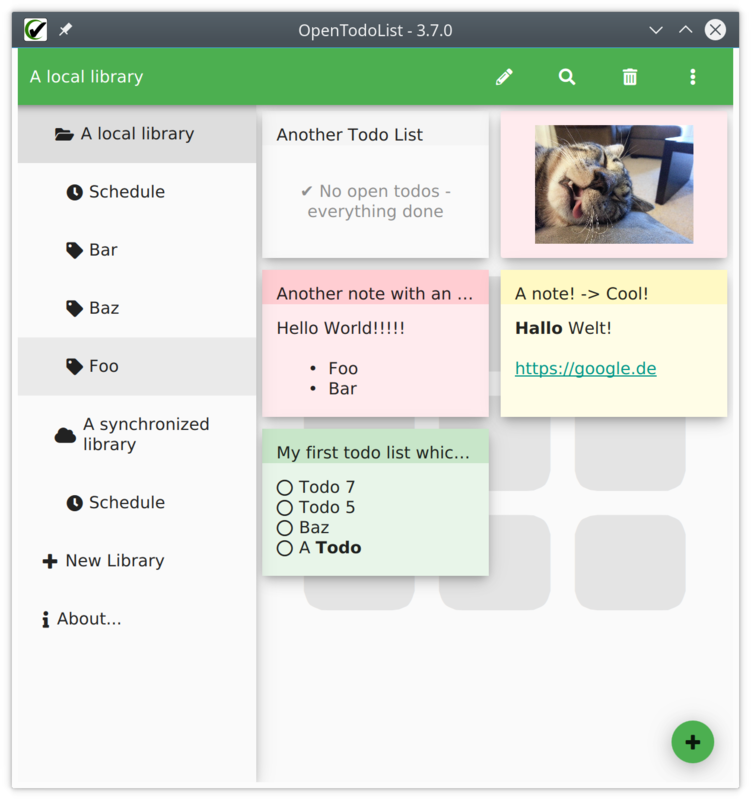 Organize todo lists, notes and images in libraries. Create e.g. a library for personal use and one for work. In addition, you can tag items inside a library, which allow you to easily break down larger collections into smaller parts. 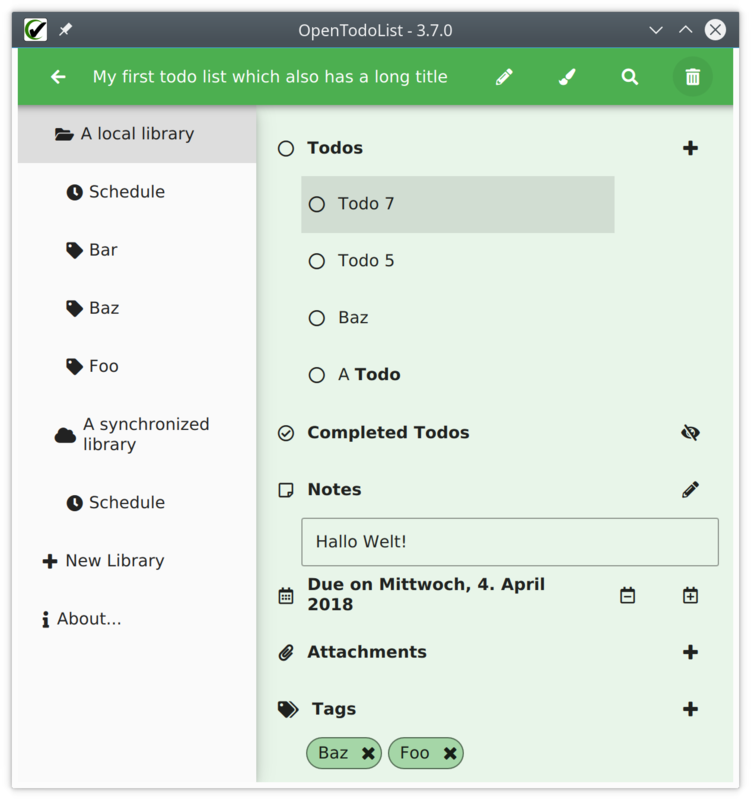 OpenTodoList allows you to synchronize your libraries with NextCloud, ownCloud and other WebDAV enabled web storage servers. In addition, as libraries are basically just a set of folders and files, you can use any third party synchronization tool of your choice. We do not restrict the cloud platforms your can use to synchronize data. We have support for some platforms like NextCloud or ownCloud, which you can easily host yourself on your own or trusted hardware. In addition, you can opt to create libraries just locally e.g. on your laptop - there’s no better way to prevent confidential information to leak. 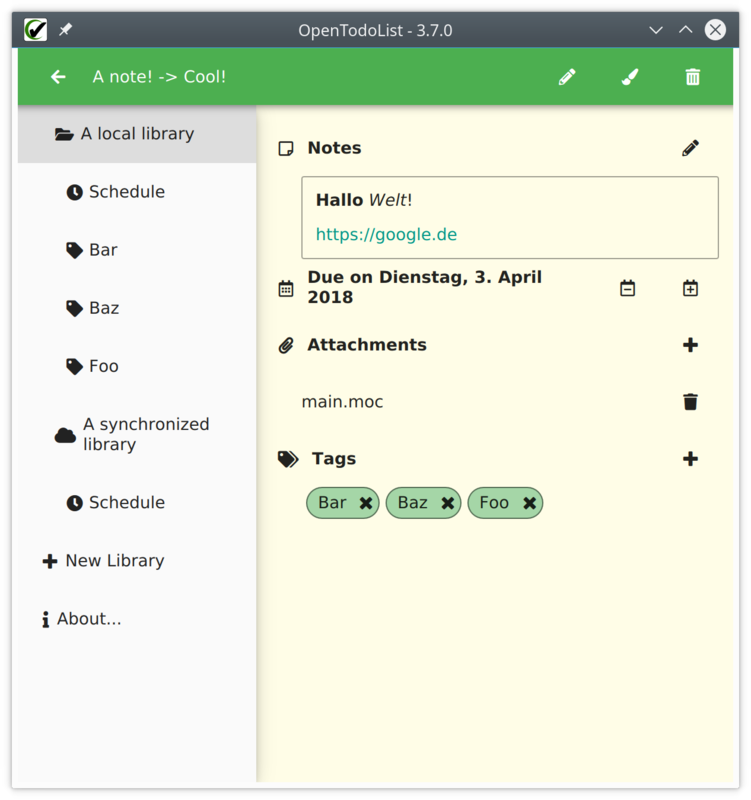 OpenTodoList is designed to run on both Desktop Operating Systems like Linux, macOS and Windows as well as mobile ones like Android. After the previous releases of the app rather have been bug fix and maintenance ones, this ones finally brings some cool new features. This is again a release which took a lot of time - however, it is an important one. While there shouldn’t be a lot of user visible changes in, this release comes with quite some changes under-the-hood, improving the performance of the app dramatically. And also, the obligatory bug fixes are in. We integrated QLMDB as a cache for item data. On top, a kind of object store has been implemented, where most interactions are done via transactions executed in background threads. Long story short: For you as a user this means a much more fluent user interface. In particular when your libraries grow, you will notice performance improvements when switching between views. This change implicitly also fixes some minor issues like e.g. the app had to be restarted to apply the deletion of an item via a sync from the server. This release comes with an important fix for Android users of the app. Creating libraries in the default location did not work on all devices. With this release the default location has been changed, which should fix this issue on all devices. Another important step is that the app now moved away from qmake as its build system to cmake. 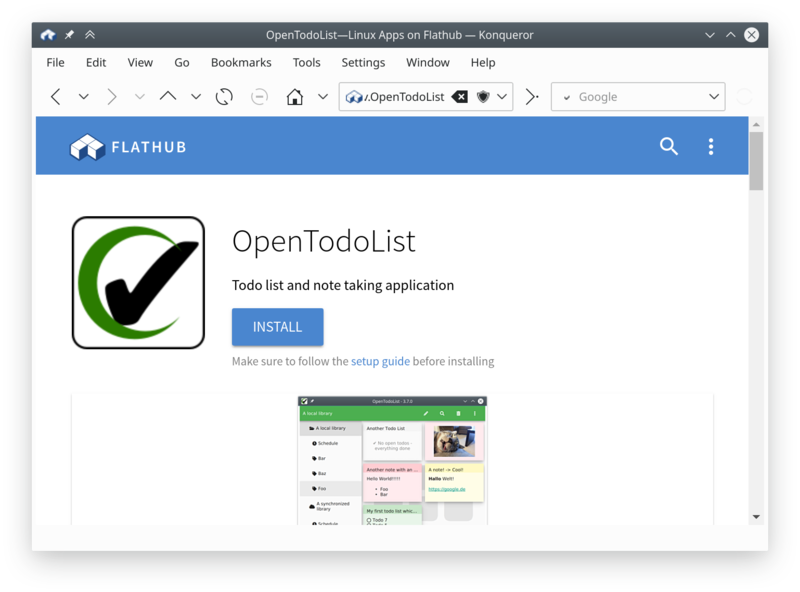 The latter is much more flexible (at the cost of not being as deeply integrated with the Qt Creator IDE used for developing the app) and also makes it easier to integrate libraries which also use cmake for building.